Elko, NV – March 22, 2018 – Lithium Corporation (OTCQB:LTUM) (“LTUM” or “the Company”), a North American company focused on energy metals for the growing energy storage sector and high tech industries, is pleased to announce that on March 15, 2018 Judge Wanker of the Fifth Judicial District Court in Tonopah Nevada ruled in favor of Lithium Corporation’s partly owned subsidiary Summa, LLC. This ruling reaffirmed that the title to Summa’s mineral lands in Nye County is sound, and that there is no reasonable challenge in law to our ownership (through Summa) of these lands. The Tonopah camp has recently sprung to life again with West Kirkland Mining continuing to consolidate its land picture here, and move its properties towards production. The Company is pleased with the result of the court challenge, and is presently considering entering into a joint venture arrangement on this prospect in a greatly revitalized and exciting mining camp. 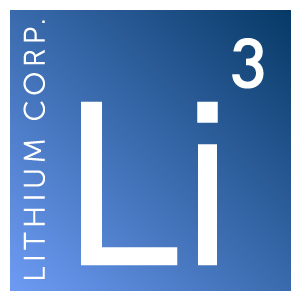 Lithium Corporation is an exploration company based in Nevada devoted to the exploration for energy storage related resources throughout North America, looking to capitalize on opportunities within the ever expanding next generation energy storage markets. The Company maintains a strategic alliance with Altura Mining, an ASX listed natural resource development company that is currently developing its 100% owned world-class Pilgangoora lithium pegmatite property in Western Australia.